Skateboarding without tricks is like eating a pizza without extra cheese! Skateboard is an action game that includes tricks, stunts, and activities while moving on skates. However, for beginners, it is advisable first to learn to push, balance, run, roll and stop the skates properly before trying any trick. After having enough practice to handle the basics of skateboarding, one is eligible enough to learn and perform beginner level of skating tricks. 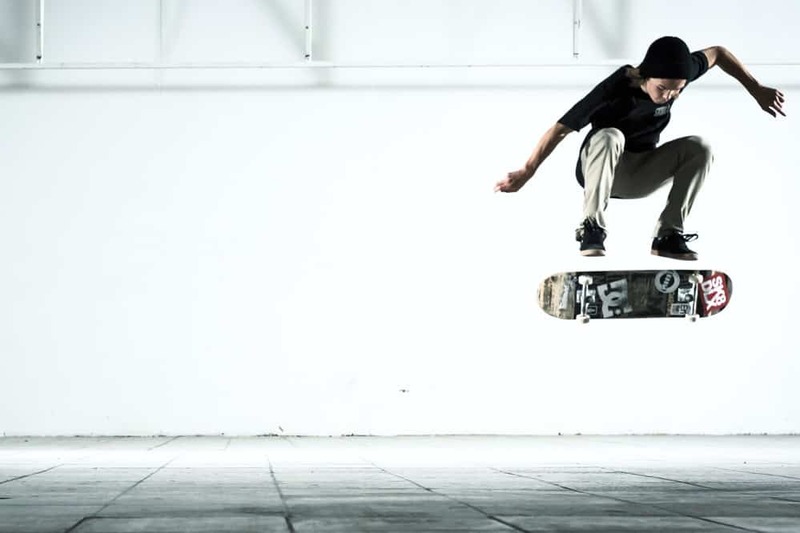 Below are some of the basic level of tricks to be performed while skateboarding, also they are of much help in performing an advanced level of tricks. Here we will teach you some of the best skateboard tips for beginners. You might have heard and even tried doing a wheelie on your bicycle or a bike. The same activity on the skateboard is known as Manual. In this trick, the skates are kept rolling only on the back wheels of the skateboard while the front wheels are in the air. It is a very simple trick. It only needs your enough practice of balancing on back wheels on a skateboard while moving with it. Take a run on skateboard keeping your back foot on the tail of the deck. Your front foot should be just above the position of front wheels on the deck. Now push the tail of the deck downwards using your back foot while balancing its tip of the deck to be in 45 degrees from the ground using your front foot. Balance your body weight in a way that the skateboard should keep moving only on back wheels. It is one among the most common and simple tricks of skateboarding a newbie can learn to prepare him/her for the thrill. Try first to master doing Ollie by standing at one place on your skate. It needs your both footwork to be performed in proper timing if you don’t want to fall on the ground with skates. Keep your back foot on the tail of the deck and front foot in between middle and the tip of the deck. Now at the same time, you need to push the tail of deck downward using your back foot and bend your front leg knee. This makes the skate to lift upward from the front, take a jump while keeping both the foot in contact with the deck. Once you are in the air, use your front foot to get the skate in a horizontal position. Finally, land on the ground having both the foot on skates. It is also another jumping activity on your skateboard. Simply it is reverse footwork of doing an Ollie. However, this time you need more practicing of balancing on the skateboard after landing on the same. Keep your front foot on the tip of the deck and back foot behind the middle of the deck. Now you need to take a jump by forcing the tip of the deck using your front foot downwards and simultaneously bend the knees of your back leg. This makes the skateboard to lift in the upward direction. 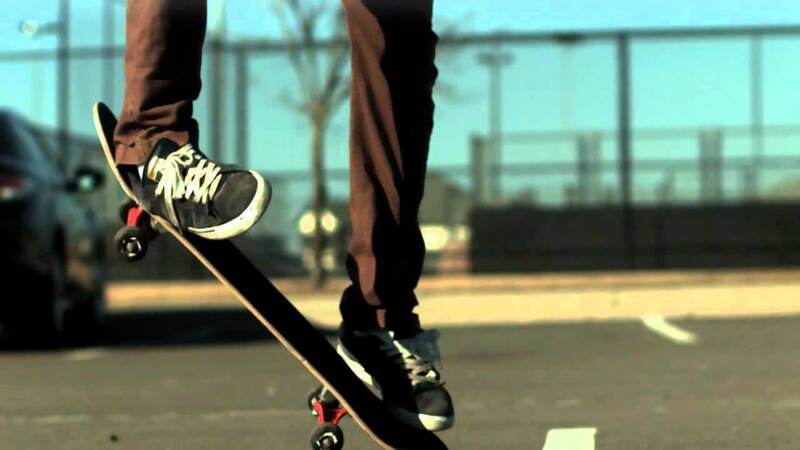 Once you are in the air with the skateboard, use your back foot to get the deck back in its horizontal position. So that you can land straight on the board while keeping your both foot on it. It is another level of an Ollie while doing which you need to take a 180-degree turn before landing on the ground. You need to move the stake board to perform the same. It needs more practice to turn on your skates on air before landing quickly. 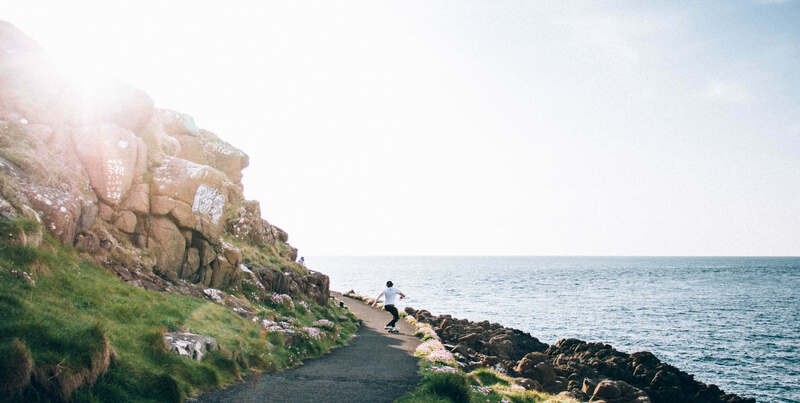 Take a run on Skateboard after having a constant speed prepare to do an Ollie. After taking the jump instead of landing in the same foot position you need to turn your body in a way that your back foot should come in front and vice versa. Also, you need to make the skateboard’s deck come in the horizontal position for proper landing on the ground. You can practice and perform it as well while standing in one place. It is also another version of doing an Ollie. Where you are additionally giving a flip to your skateboard before you land on the ground. While performing an Ollie, after taking the jump use your front foot to give a kick to the heel side edge of the skateboard. Then remove your both feet away from the skateboard. This makes it flip once; now you are near to land on the ground. So make you’re both feet to get back in contact with the skateboard again once it comes to a horizontal position after a flip. This will help you to land safer. It is an activity to take a jump and grind on either a ledge, curb or a rail before you lands on the ground while riding on the skateboard. You are moving on trucks, not on wheels of the skateboard. Keep balancing your body weight evenly distributed among both of the trucks while performing the same. Whatever surface you want to grind upon you need to move with stake board at a constant speed parallel to the same. Take an Ollie, now use your front foot to set the board in the right position so that a rail, curb or ledge is precisely at the center of both the trucks. While grinding keep the knees of both of your feet in bending position. To jump off back to the ground use your back foot to pop the tail. 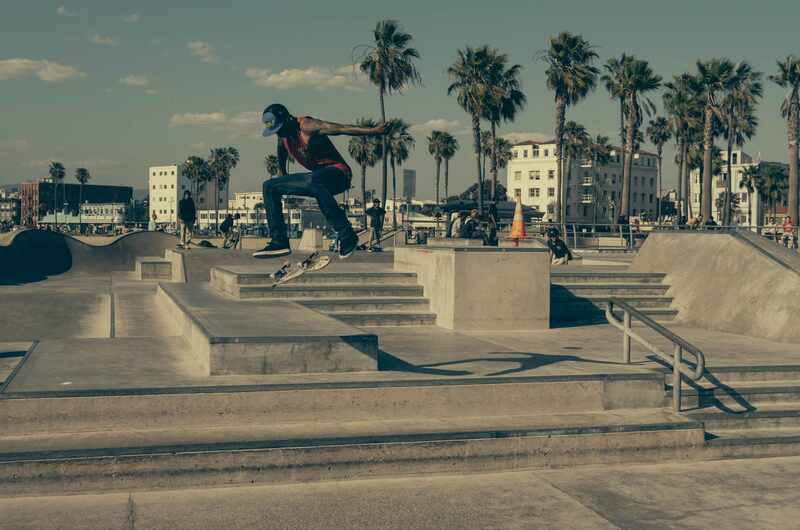 Land on the ground while keeping the skateboard in the horizontal position having both feet in contact with the deck. It also requires your Ollie skills. Now in this trick, you will make the skateboard to take a 180-degree turn while keeping your body in the same position. After a bit practice of your footwork on right time, you will get it in a right way. While you are riding the skateboard at a contact speed initiate an Ollie. You need to use your back foot to give a twist to the skateboard in a way that it will complete rotation of 180 degrees on air itself. Make sure you’re both of the feet are away from the board. Balance your body in the way that before landing on the ground your feet’s should be in contact with the deck of the skateboard. This is a further advanced version of an Ollie. You need to be more aware and keep balancing your body to perform the same. 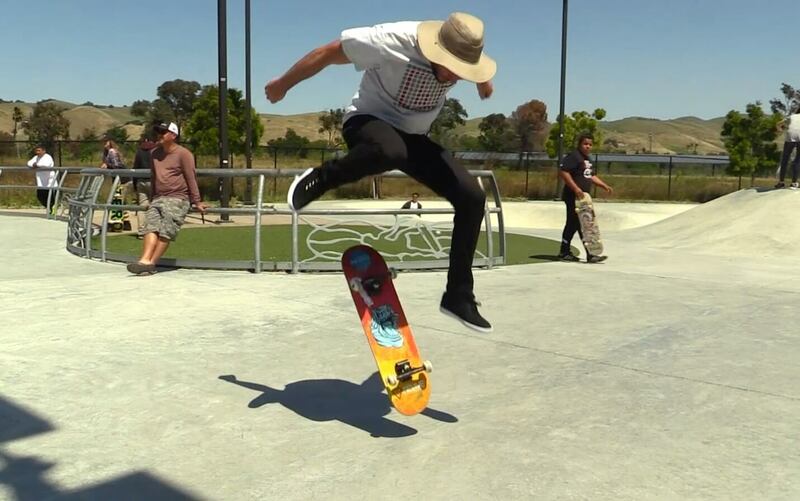 Here you are using your front foot heel to give a flip to the skateboard while performing an Ollie. While standing at a single place initiate an Ollie. 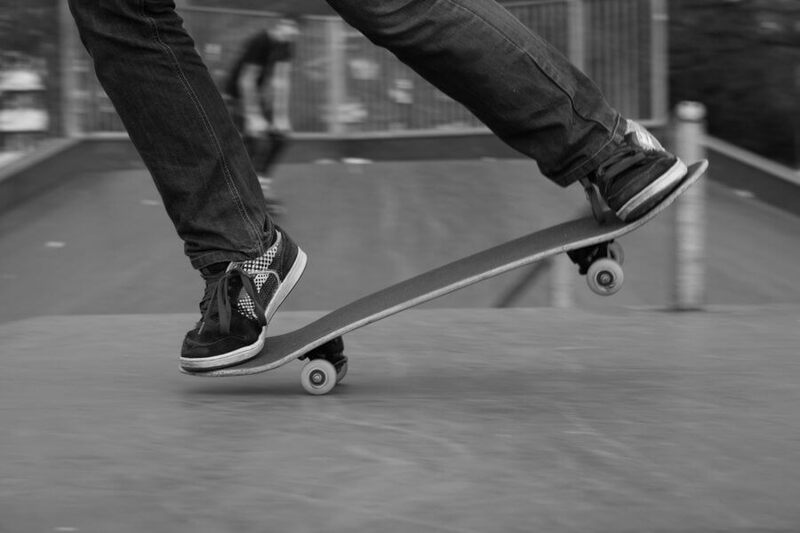 After a jump as soon as the tip of the deck is in upward direction use the heel of your front foot to give a flip to the skateboard. While performing the same, you need to balance your body. Take a jump in a way that your front foot should move in the front direction of your face and back foot in the backward direction. Once the skateboard completes a flip, it’s time for you to land on the skate while balancing it in a horizontal position. It is a tougher version of an Ollie. Many people also recognize this trick as the-flips. It is hard but the best to perform at the right time to impress others for sure. Practice it while standing in one position first. Once you are good at it, you can try it while moving on stakes as well. Now as and when you’ve initiated an Ollie don’t wait for the skateboard to move above the ground. Use the toes of your back foot and apply a twist with a big force while the back wheels of the skates are on the ground. This makes the board take a rotation of 360 degrees at the same time it takes a flip. It needs similar footwork like doing a heelflip once you make the board to take the turn. Balance your body in a way that you’ll land on the skate once it is back to its horizontal position. Another tougher version of an Ollie. It is a combination of pop shove-it and kicks flip. This time you not only flipping the skateboard but also rotating it vertically. You need to be confident of your footwork, body balance on a skateboard before performing the same. Move your stake board at a constant speed. Initiate an Ollie use your back foot to push the tail of deck in forwarding direction like frontside pop shove-it. This makes the skateboard to take a vertical turn. While jumping use your front foot to flip the skateboard as well like a kickflip. Once the tail comes forward, it’s time to use your front foot to keep the board in horizontal position for landing. Similarly, your back foot will be landed on (the tip before performing the trick) the deck. Hope the above tips and procedures to perform Skateboard tricks for beginners are of much help for you. Get ready to amaze your friends with tricks while skateboarding. Learn well, practice it well and perform it in a right manner to avoid any harm!